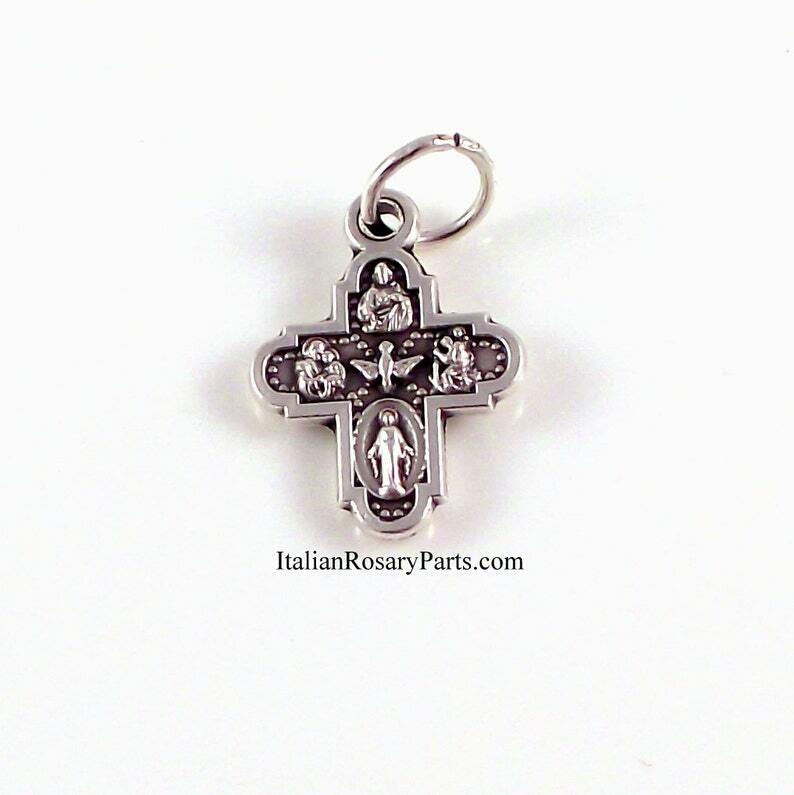 A tiny, silver four-way cross charm. Beautifully detailed. Measures 1/2" high. Silver-oxidized metal. Made in Italy. Smaller than I expected, but still very nice!